Preparation is key to the end result. 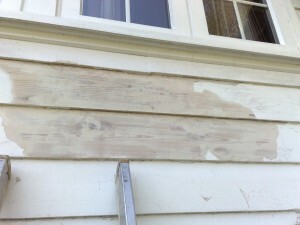 Exterior painting normally involves a lot more preparation work than interior decorating needs. The preparation work involved on an external project can be as much as 50-70% of the job, so it may appear to you that the work is taking a long time to get to the final painting stage. But you do want the paint to last and you also want it to look real good, don’t you? So let it be prepared accordingly. Only premium quality paints & materials are used from the initial preparation to the final top coat to ensure that your home painting project, whether it be internal decorating or external painting, will stay beautiful for years to come. Some of the highest quality Trade exterior paints we use are Sandtex Trade, Johnstones Stormshield, Albany Smooth Masonry, Crown Stronghold, Sadolin, Sikkens, Dulux Weathershield. There are plenty more trade paints available, but these are the regular ones most people ask us for and we are happy to recommend. Please feel free to click on the links above and see the quality paints that can be applied to your investment. Your investment deserves our best! Scrape/sand all loose and peeling paint down to a sound surface. Sometimes scraping and sanding the existing paint is not enough. Burning the paint off (with a heat gun, not gas/flame) may be necessary to obtain a sound surface ready for painting. Getting any damaged or rotten woodwork/trim replaced as necessary or repaired with Repair Care International (a great cheaper alternative). As you can see the preparation to an exterior job is pretty extensive. This is why it is mentioned previously that preparation work involved on an external project can be as much as 50-70% of the job. During the preparation stage the ground around your property will get some loose debris that will come off the surface that is being prepared. This is unfortunately inevitable. I will try however, and keep any mess to a minimum, and I will also do my utmost to protect your prized blooms and plants. 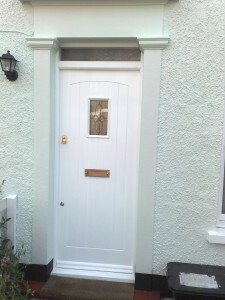 Before & After Painting prides itself on the quality and standard of its workmanship. All of my work comes with up to a twelve month guarantee to ensure your complete satisfaction. There aren’t many out there willing to guarantee their work. Sometimes a property is built in such a way that the safe use of ladders to complete the project is not always practical and completely unsafe for me. Therefore, the only safe method to obtain safe access to the areas would be via scaffold from a reputable company whom I trust. This company would be Zendrill Scaffolding who are more than competent for the projects I take on. The cost of the scaffolding would be on top of and separate of any figure offered by B&A to carry out the painting. Please book early for your exterior paint project as the diary gets filled very fast and I don’t like to disappoint. We give up to a twelve month guarantee! We stand behind it too!! !